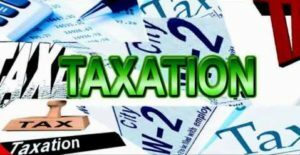 Will Estate Taxes affect you? If so, how do you reduce them? First, it is important to understand who the estate tax affects and who it doesn’t. And second, if the tax does apply to your estate, how can you pay less? Based upon a Survey of Consumer Finances 1983-2016, if your family wealth exceeded $5,793,500 in 2013, you were in the top 2%. With an individual’s lifetime estate tax exemption of $11,400,000 in 2019, the federal estate tax, perhaps more appropriately referred to as the death tax, applies to far less than 2% of families. And the exemption is currently going up each year as it is indexed to inflation. For married couples, when proper planning is implemented, most commonly with trusts, the lifetime exemption of both spouses can be used. This doubles the family’s estate tax exemption to $22,800,000 for 2019, thereby affecting a fraction of 1% of families. To hear politicians talk, you would think the death tax applies to everyone. As you can see, it doesn’t. Not even close. The estate tax has become a political soccer ball being kicked around for political advantage. However, if the estate tax does apply to your estate, it is particularly onerous. 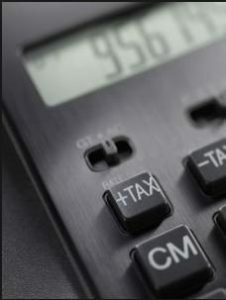 The estate tax rate of 40% applies to the value of your estate above the exemption amount. And this does not include those states that apply their own death tax or inheritance tax on top of the federal estate tax. Fortunately, Nevada does not have a state death tax. What can be done to reduce the estate tax burden? Quite a lot with proper estate planning. There is a virtual alphabet soup of trust types that can be utilized to drastically reduce the impact of the death tax. While life insurance passes to beneficiaries income tax free, the proceeds are part of the insured’s estate for estate tax purposes. The last thing you want is for 40% of the life insurance proceeds to go to the government. The Irrevocable Life Insurance Trust is specially designed to hold life insurance and keep the proceeds out of your taxable estate. In so doing, 100% of the proceeds go to your beneficiaries. A Qualified Personal Residence Trust is designed to hold your personal residence for a period of years. During that time you retain the right to live in the home rent free. At the end of the time period, the residence either passes outright to the beneficiaries, or more commonly, remains in the QPRT until your death. This trust allows you to gift your residence at a greatly reduced gift tax cost. This irrevocable trust is intentionally defective for income tax purposes, but not estate tax purposes. This allows you to sell assets, such as a non-voting interest in an LLC, to the IDIT without recognizing capital gain. And all future appreciation is not included in your estate, as you simply retain a promissory note from the sale of the asset. Properly implemented, this technique can save significant estate taxes. These charitable trusts are ideal tools when the trustor also has charitable intent. The CRT is a charitable remainder trust and come in two varieties: a charitable remainder unitrust and a charitable remainder annuity trust. With both, you retain an income stream like a fixed or variable annuity, with the remainder going to charity. A CLT, or charitable lead trust, is just the opposite where the charity receives the stream of income for a period time, and the remainder goes to other beneficiaries. The grantor retained annuity trust (GRAT) can operate similar to a IDIT. You can gift property to the GRAT, and like the name implies, retain an annuity for a specific period of years. At the end of that time, the assets remaining in the trust pass to the beneficiaries tax free. When coupled with an FLP or LLC, you are able to supercharge this effective, tax code approved technique. When implementing any of these estate tax saving strategies, you will want to meet with an experienced Las Vegas estate planning attorney. And click here to learn more about the other estate planning documents needed.